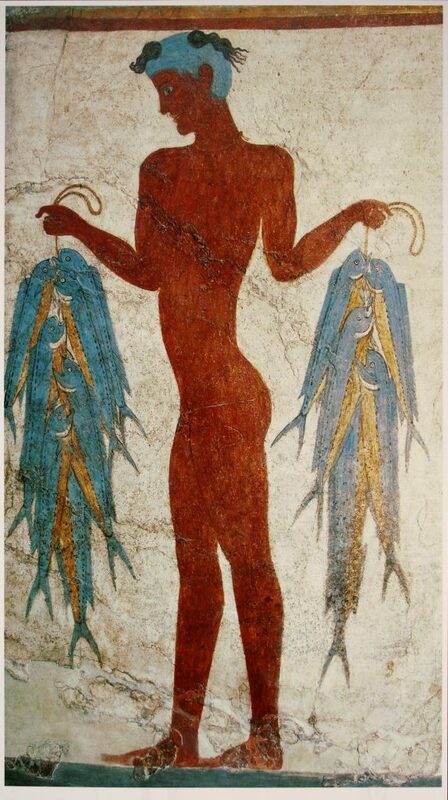 Evidence of human inhabitation in Aegean dates back to fifth millennium BC when probably voyagers by the coast of Turkey established a small fishing and farming community across the Archipelago. At this point, only one question comes in mind, why these ancient settlers chose the arid and barren islands to establish their communities? 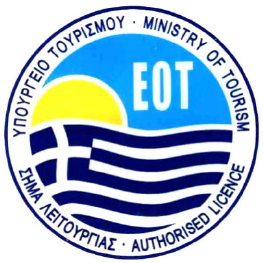 The most of the Aegean islands lack water and fertile land while even today they seem to be isolated far away from the amenities of the mainland and with limited professional options. 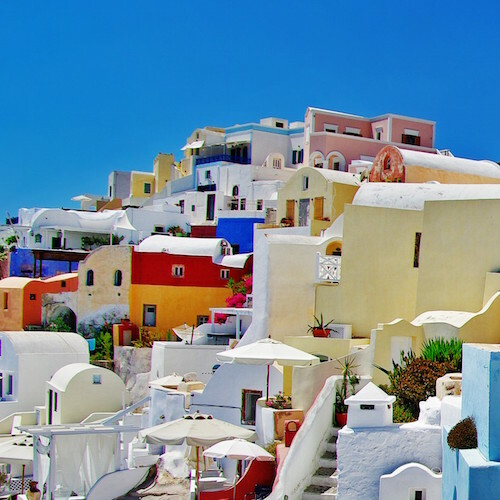 Aegean islands look like being in the middle of nowhere but they actually lie at the heart of the great trade routes extended from Egypt and Syria in the South, and from the kingdoms of Europe in the West. In ancient times, the seafaring commerce was the safest and most efficient way of trade. 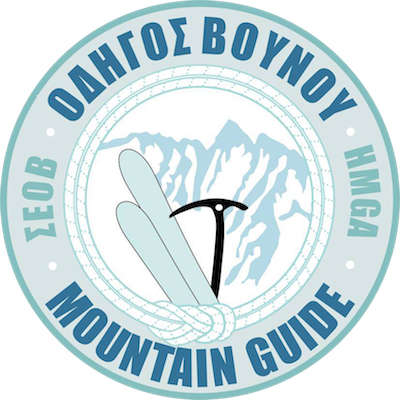 In Aegean sea, especially, the big amount of islands provided sailors with numerous ports and allowed for relatively easy navigation. 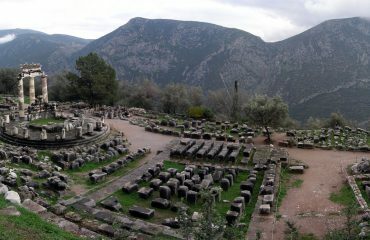 In addition, the location of the important harbor- cities along its shores, especially in Greece and Asia Minor, allowed access to the interiors of those lands and beyond. The islands were also rich in valuable raw materials such as lead, copper, marble, and obsidian (volcanic glass used for cutting). These natural recourses and their strategical position led to certain prosperity which lasted throughout the Bronze Age. 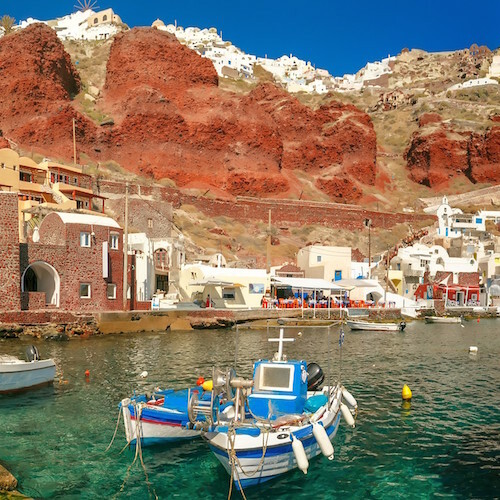 In the island of Santorini particularly, by the third millennium BCE, it was established a developed, coastal settlement known today as the archeological site of Akrotiri. The presence of rock-cut burial chambers, pottery, stone vases, and figurines suggest a period of significant growth. The marble used for these vessels probably came from the nearby islands of Paros and Naxos and together with finds of Theran pumice stone (used as a polish abrasive) suggest the presence of inter-island trade. Wood and food goods were also probably exchanged at this time, not only throughout the Cyclades but also with the Greek mainland and Crete. 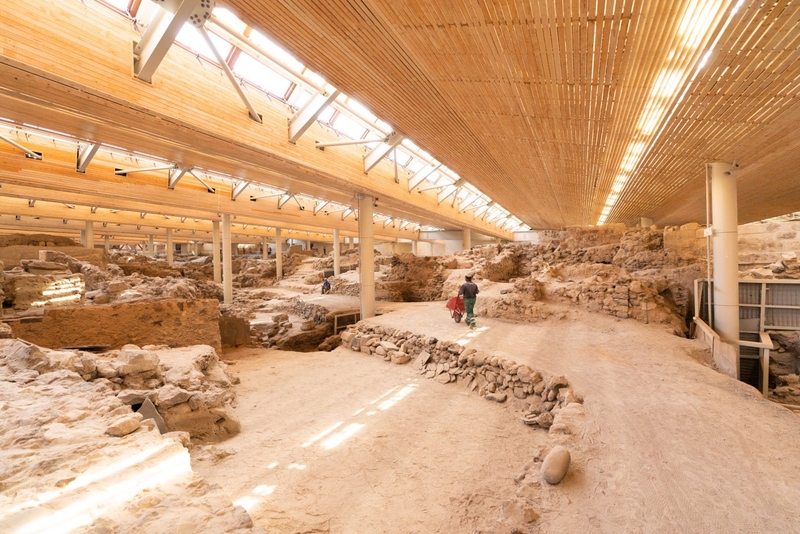 The Middle Bronze Age, from 2200 to 1650 BCE, Akrotiri saw an increase in the size and sophistication of the settlement with a more regular town plan achieved. The density of building sometimes with two and three-floor houses, the paved streets, the drainage network linked directly with the sanitary facilities in the houses, the stabling of animals outside the city are all features typical of an organized urban center. Quality pottery was mass produced and decorated with lines, plants, and animals. 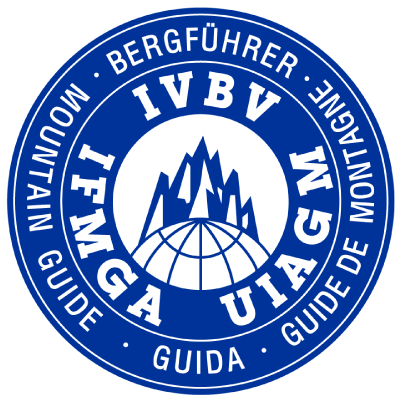 Metallurgy and other crafts (particularly those related to the maritime industries) became more specialized. 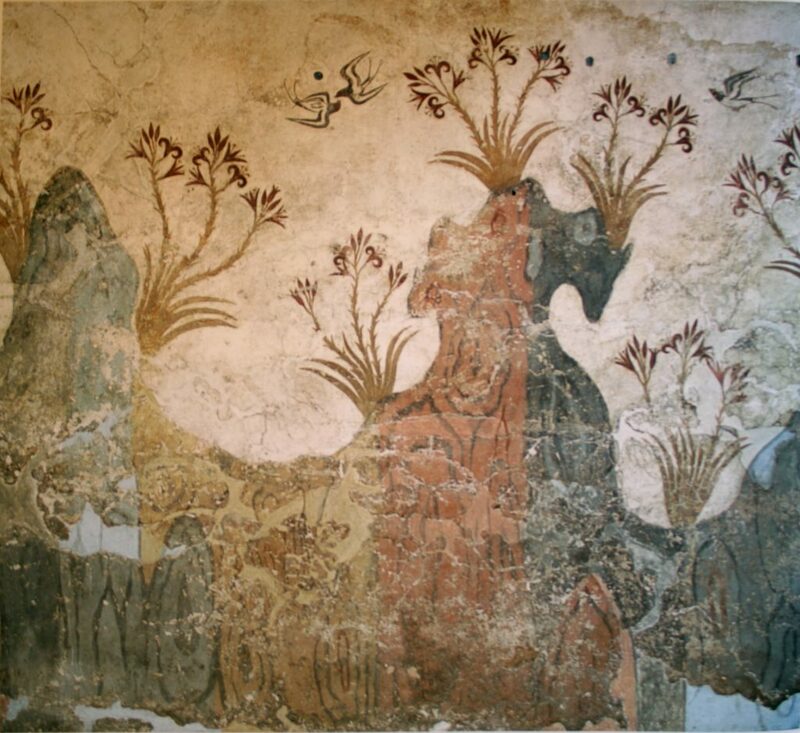 Being strategically well-placed on the copper trade route between Cyprus and Minoan Crete, Akrotiri also became an important center for metal work, as is evidenced by finds of molds and crucibles. 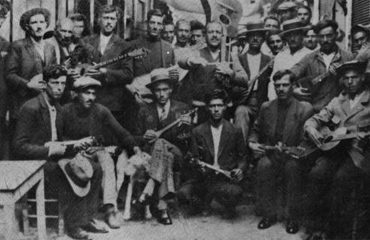 All these facts suggest that healthy Aegean trade relations were in existence. 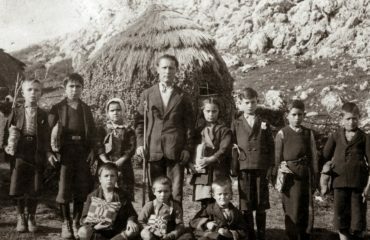 In 17th.c. BC, approximately, the volcanic crater of Thera exploded in a cataclysmic eruption completely covering in ash the large town of Akrotiri. 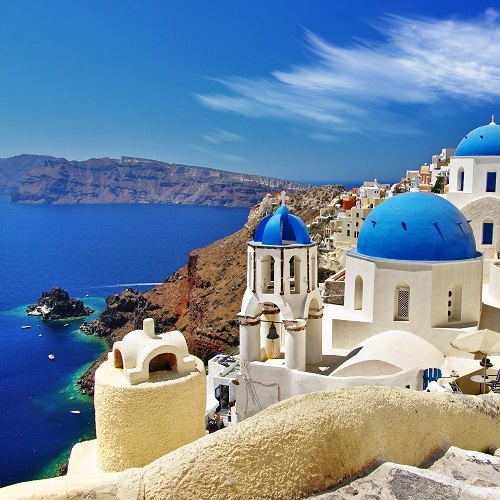 The eruption was the largest that humanity has ever witnessed and had been proceeded by earthquakes of a magnitude of 7 on the Richter scale which destroyed completely Santorini and the nearby islands and created 30m high tidal waves. During the explosion that lasted two to three days 60 cubic kilometers of ash, rocks and pumish were ejected into the air which is equal with the volume of 62 million houses as many as Japan has. The eruption had a global impact and evidence of it can be found all over the Northern Hemisphere. 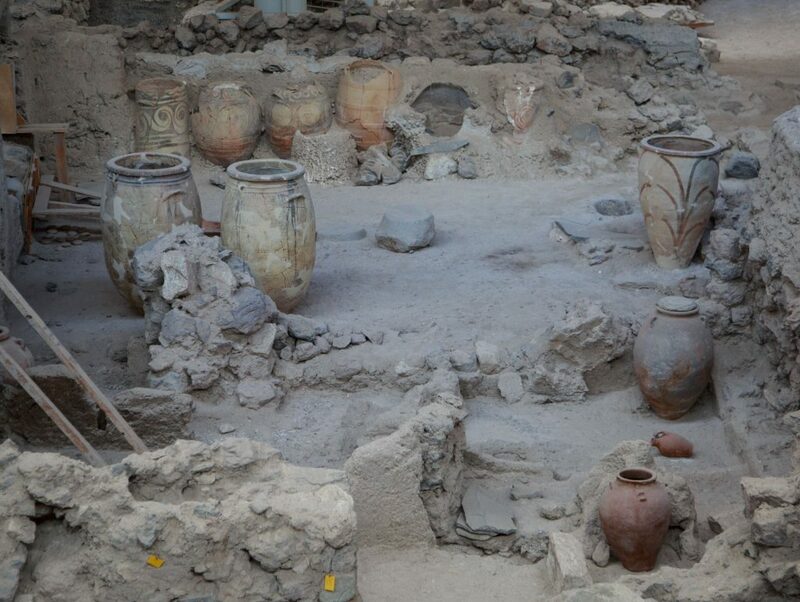 The entire island and the settlement itself ware buried in a thick layer of ash and all life in Santorini was destroyed. 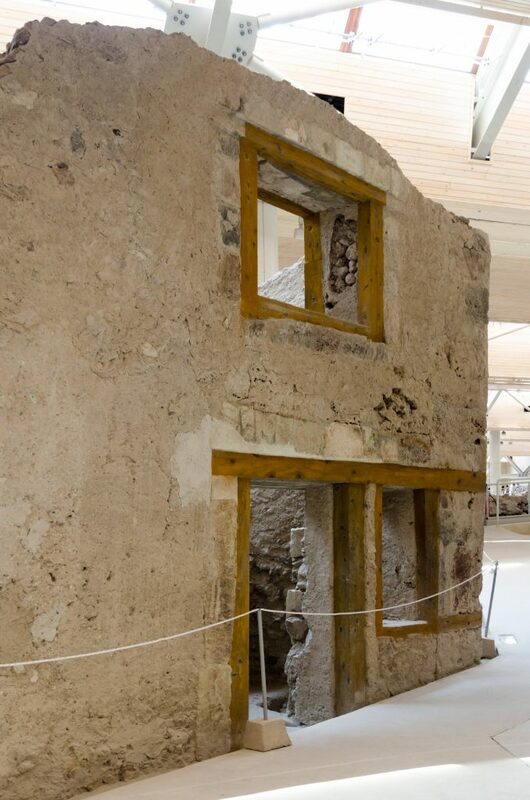 However, these materials protected up to date the buildings and their contents in the ancient town of Akrotiri; for example, through negative casting, it has been possible to identify usually perishable items such as wooden furniture. What archeologist did not find, though, were human remains, neither bodies nor even the bones of a single domesticated animal. 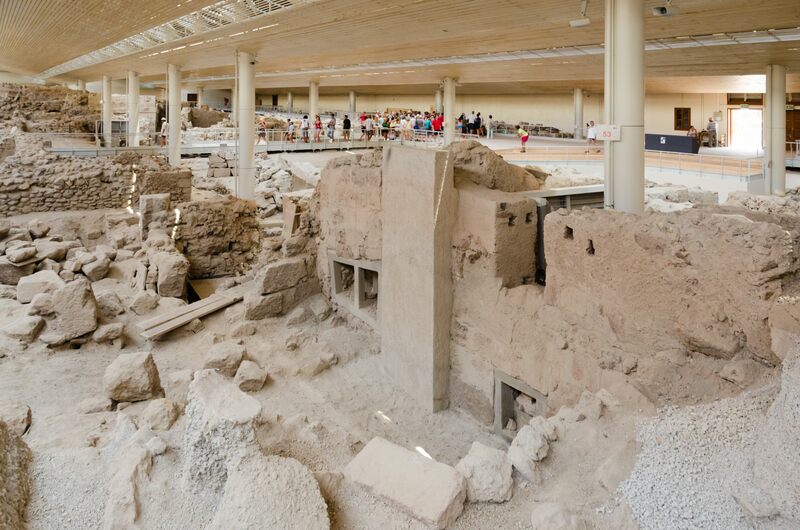 Unlike Pompeii where life seems frozen by the disastrous eruption of Vesuvius in 79 CE, at Akrotiri, there were no casualties found at the site. 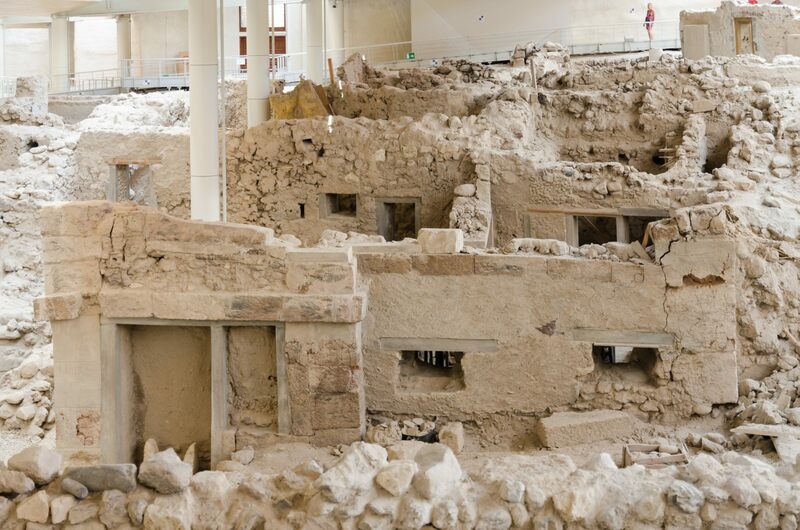 This along with other clues tells archaeologists that the people of Akrotiri had a warning that the eruption was coming and as wealthy seafarers, they probably had the means to flee taking all their treasures with them. No traces were found and what happened to them still remains a mystery. 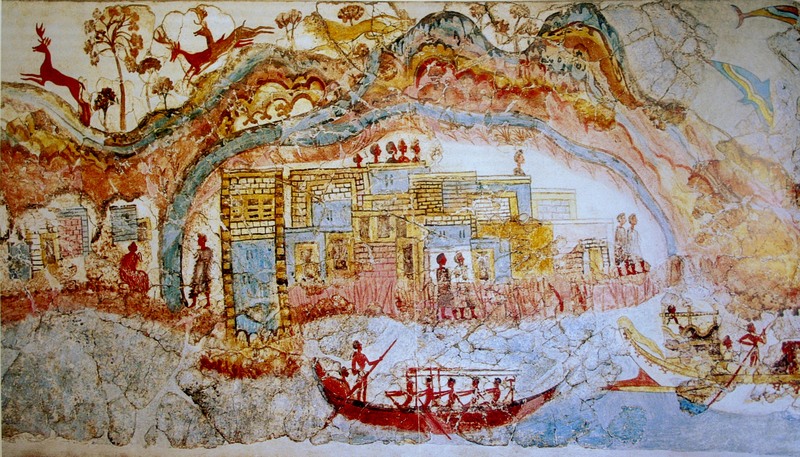 For many Akrotiri is Plato’s Atlantis as he speaks about a very advanced ancient civilization that was destroyed in a cataclysmic way without leaving any trace. But, as no one will be ever able to prove that this island truly existed and tie Atlantis to a real location, the only things which still stand today are the astonishing technological and cultural achievements of a civilization which flourished during the late bronze age.